Unitronic's 2.0 TFSI Diverter Valve Relocation kit is compatible with the stock K03/IHI and K04 (with compressor mounted diverter valve) turbochargers. Removing the Diverter Valve from the heat of the exhaust manifold improves durability, while improving functionality and responsiveness. 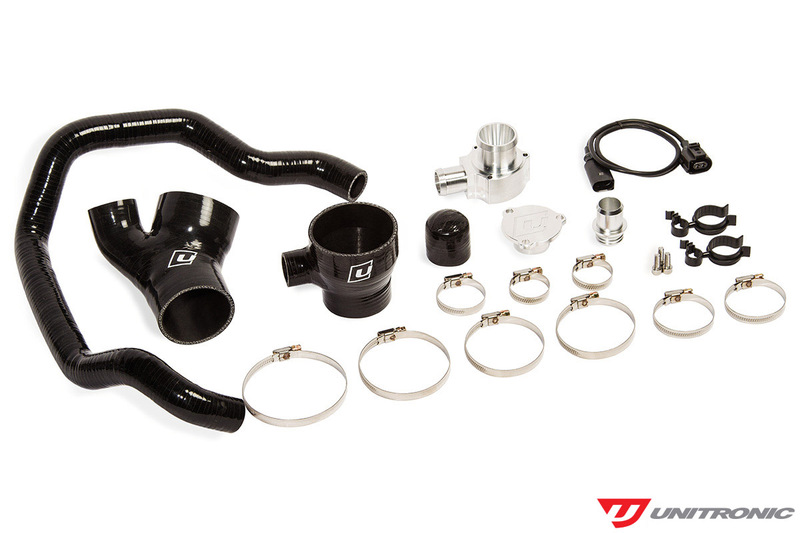 Comes complete with everything required to relocate your DV to the OEM throttle body pipe, with Unitronic's unique series of 4-ply DV relocation silicone hoses and CNC aluminum DV adapter. Includes a DV Wiring Harness Extension and OEM DV location block off plate. Everything you need to increase response and durability of your DV.